Happy Monday, y’all! 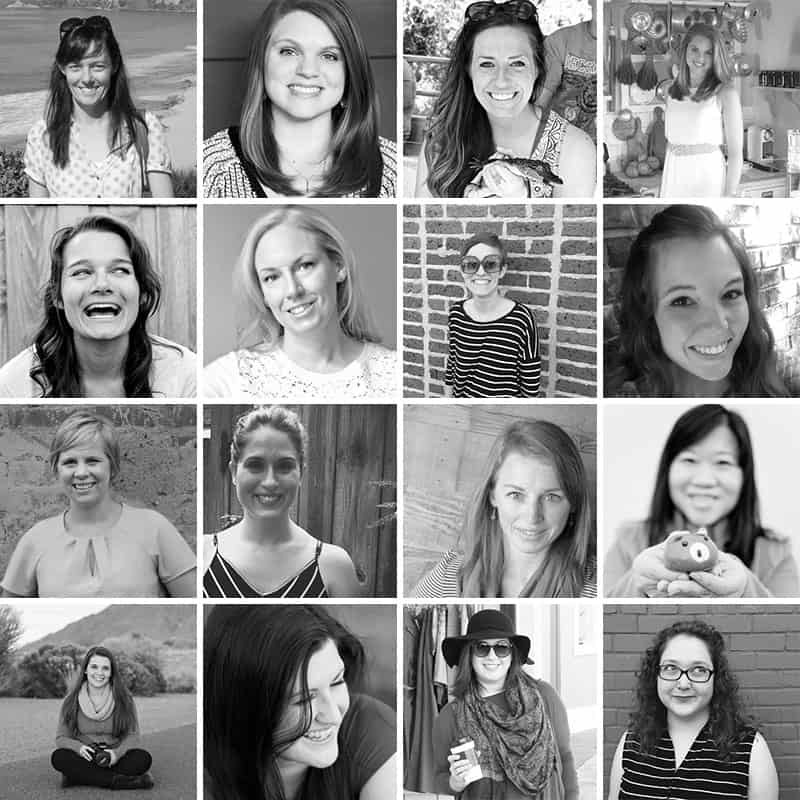 I’ve got a really exciting post for you today. 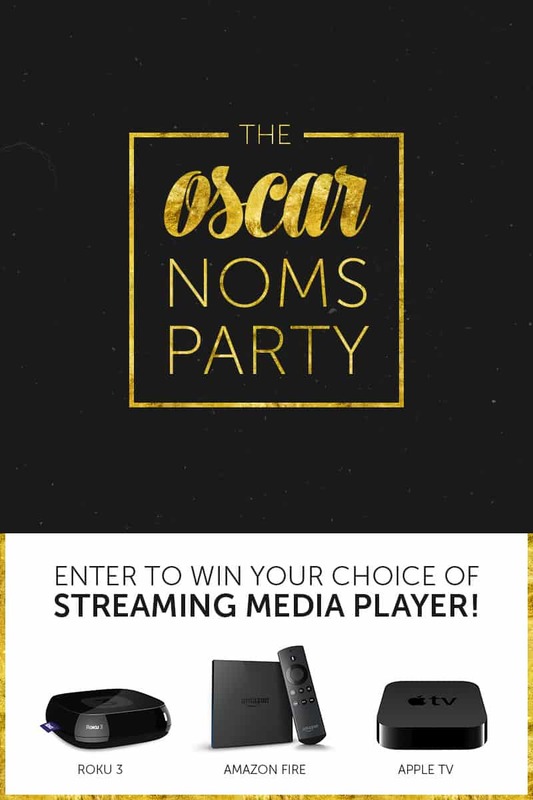 It’s Oscars themed and there’s a fun giveaway down at the bottom too! I’ve mentioned on the blog a couple times that I’m a total nerd. You can see examples here and here. So naturally, when I was invited to be a part of this Oscars blog party and we were required to make something inspired by one of the nominated movies, I saw Guardians of the Galaxy on the list and was like YEP. This is it. This is my time to make a raccoon cake. 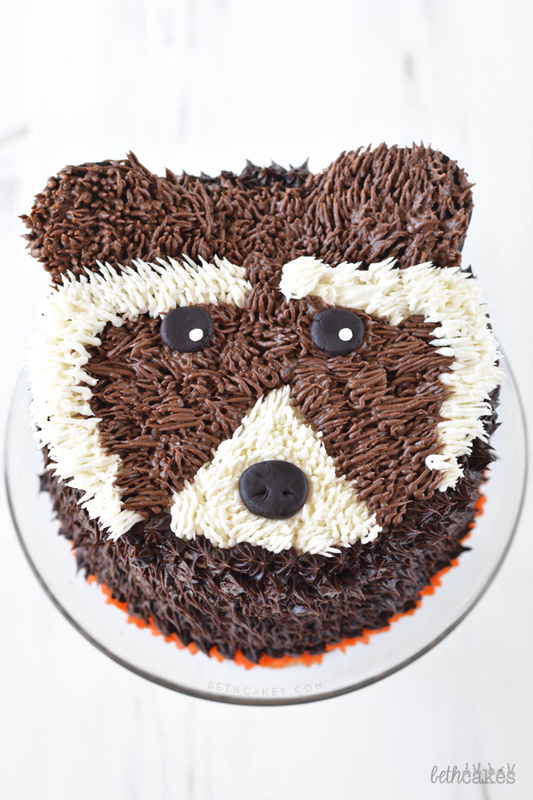 Clearly, this raccoon cake is a little more mild-tempered than Rocket, an angry, little guy voiced by Bradley Cooper. In case you haven’t seen Guardians of the Galaxy, Rocket is a genetically engineered raccoon–basically, he was experimented on and given human qualities. He’s really into weapons and his bff is Groot (Vin Diesel), a large, tree-like creature. They join forces with Peter Quill/Star Lord (Chris Pratt), Gamora (Zoe Saldana), and Drax (Dave Bautista) to prevent a very powerful infinity stone from falling into the hands of Ronan the Accuser. As a fan of Marvel movies, I went into this one expecting it to be great. I didn’t actually know anything about Guardians of the Galaxy though, and it was so different from what I expected. I don’t know what I expected exactly, but it was different. I didn’t expect the 80s music. Peter Quill, the main hero, is kind of a goofball. This group of misfits doesn’t even really like each other for most of the movie. But they become friends in the process of saving the universe and all fly off into the sunset together at the end. Guardians of the Galaxy is up for a couple awards in the makeup and visual effects categories. If you’ve seen the movie, you know a majority of the characters are from different planets and very few of them are just regular humans. I think they did a fantastic job with these characters and costumes. Rocket and Groot are probably the most obvious, but I also think they did a great job with all the other minor characters and extras we see during the movie: the people of Knowhere (where they meet The Collector), the prisoners in the intergalactic jail, the Kree, and the people of Xandar. And there you have it. 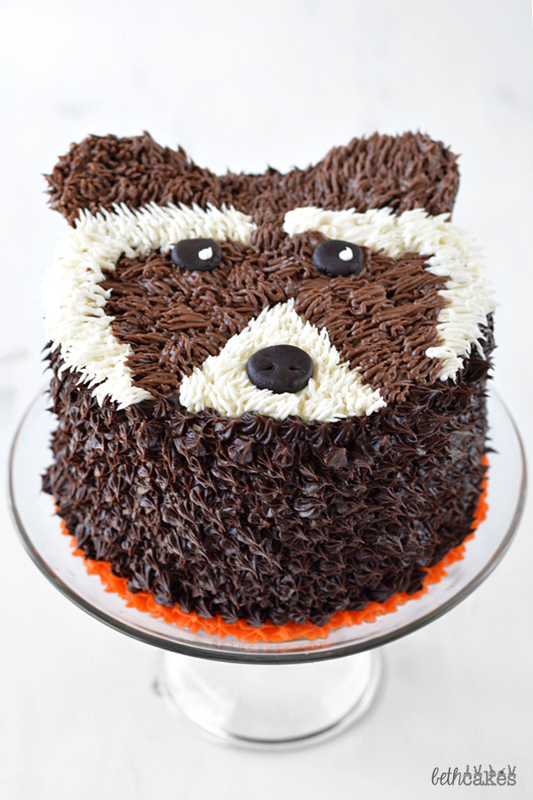 Rocket Raccoon Cake. I really wanted to add one of these little Groot Cupcakes from Koalipops, but I totally ran out of time this weekend. But if you ever have a Guardians of the Galaxy themed party for your kids or yourself, these are great options. 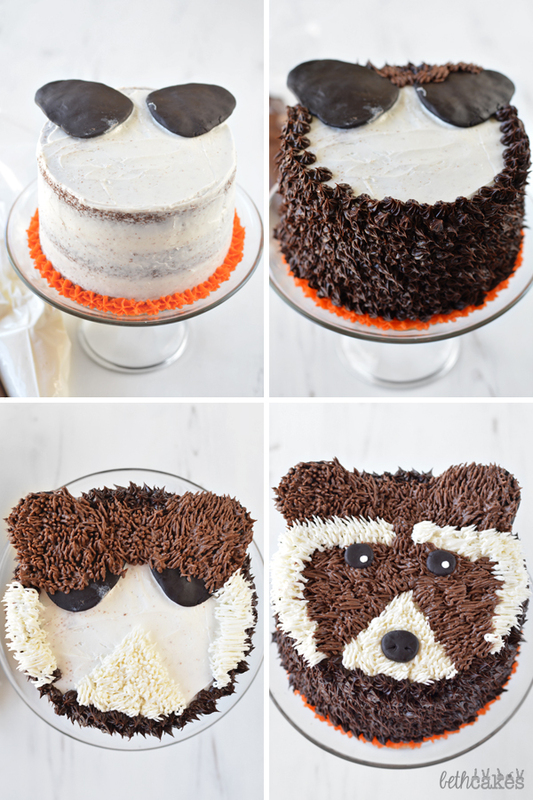 Or you know, if you ever just need a raccoon cake. Preheat the oven to 350 degrees and spray two 8 inch (or three 6 inch) cake pans with non-stick spray and line with parchment paper. 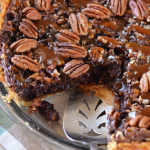 Place a cake layer on a cake plate or stand and spread a thin layer of frosting on top. 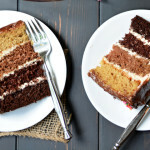 Repeat with the other two cake layers and cover the entire cake in a thin crumb coat. Place the cake in the freezer while you prepare the rest of the decorations. 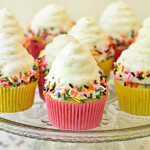 Put each frosting in a pastry bag with a grass/fur tip. I used a small star tip to go around the outside of the cake, and two grass tips for the fur on top of the cake. Using the modeling dough to make two ears, two eyes, and a nose. I sort of free handed these and made them proportional to the size of the cake. You may need to use leftover modeling dough to create to flat/ball pieces to place under the ears to make them stick up a bit. Remove the cake from the freezer. Cover the sides with dark chocolate frosting. (Orange border around the bottom is optional.) 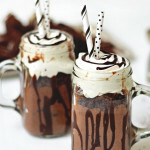 Then cover the tops of the ears and head with chocolate frosting. Next I piped the white frosting, which is used for the muzzle area, the "eyebrows", and the fur on the edges of the cheeks. After that, fill in the rest of the space with chocolate frosting. Place the nose and eyes on the cake. And ta da! 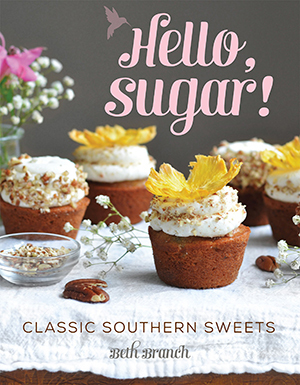 Take a look at all the recipes! Great decorating work!!! I love it. Very Cute. That’s a lot of piping. Thanks, Kathy! It’s a lot of piping, but it goes by quick! Very, very cute idea! 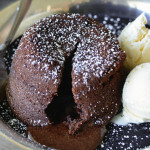 And I bet very delicious too! I LOVE the cake. You did an Oscar winning job. Lol. I also love the theme that you all are doing. I am smiling as I am typing. FUN! He is utterly the most adorable animal cake I have ever seen! Beth I can’t even handle how in love I am with this cake. <3 I just want to type a giant AAAAHHHH (well I guess I just did) and also dig into his adorable face. Weird, but true. Gorgeous and festive! Thanks Jess! I couldn’t make myself cut a slice haha. Thanks, Jenna! I was really afraid it was going to come out looking like a mess, haha. 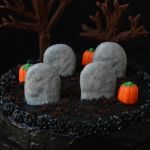 Such a fun cake and such an awesome idea! Your cake decorating skills are incredible!! This cake looks seriously professional. I love the tie in to the movie – this is awesome!! Ha! 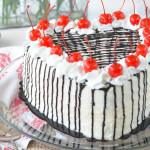 This cake is so fun! We recently watched Guardians of the Galaxy too! Totally not what I was expecting based off the other Marvel movies but we liked it a lot! You nailed this party! This cake is amazing! I saw this as well!! Hahha I just love Rocket. he is seriously the star of the movie. Still can’t believe he asked for that man’s leg for the plan lol! This cake is just adorable! !